Mining is an extremely dangerous occupation— one in which workers willingly expose themselves to harsh working conditions, dangerous machinery and a hazardous environment. The people who sacrifice their bodies day in and out represent a portion of the backbone of our nation and deserve not only to be commended but to be granted all of the implements needed to ensure their safety and for their needs to be covered in the event they are injured on the job. The Rosenfeld Injury Lawyers LLC believe in protecting the rights and interests of those who have been harmed needlessly after lifetimes of hard work and dedication and will fight as tirelessly to recover the compensation our clients deserve as they have worked their entire lives. Mines are dangerous enough on their own and employers do not need to contribute to an environment already rife with hazards. The following examples are of ways in which employers or fellow employees can place workers in harm’s way or how equipment and machinery can contribute to mining accidents. Overworked employees— when employees are overworked and fatigued, they are more likely to make mistakes. Studies have proven that tiredness has similar effects on reaction speed and the ability to make responsible decisions as being under the influence of drugs or alcohol. Inadequate training— when employees are not properly trained on how to safely operate machinery or perform their specific job functions; they are more prone to make mistakes that can have costly consequences. Employee error— accidents aren’t often the result of intentional actions and people make mistakes. They must make right, however, when a mistake results in the physical harm or death of another person. Drug and alcohol abuse— the danger of using heavy machinery during mining operations is exacerbated when workers are impaired or under the influence and it is completely unacceptable for anyone to place others at risk in such a manner. Toxic substances— substances such as silica dust are thrown into the air due to blasting, drilling and other operations that are critical to the operation of mines. Inhalation of these substances over an extended period of time may cause cancer, silicosis and other serious medical conditions and it is the responsibility of the victim’s employer to provide compensation for the treatment of these conditions. Poor safety record— employers often cut corners at the expense of their employees in order to reduce costs and maintain margins they find acceptable. If this results in the failure to provide safety devices needed to prevent injuries, the employer can be found guilty of negligence and held liable for any injuries that result from the violation of safety standards. If you or a family member was injured while working at a mine, you are likely entitled to workers compensation benefits. Contact the workers compensation attorneys at Rosenfeld Injury Lawyers LLC for more information and a free review of your legal rights and options. Workplace injuries are often the result of multiple failures on part of more than one party and determining liability is instrumental to securing the maximum amount of compensation when filing a claim. The Rosenfeld Injury Lawyers LLC rely on teams of experts who evaluate the history of employers and manufacturers in order to uncover patterns of safety violations, thoroughly reconstruct the conditions of an accident in order to provide insight into what went wrong and inspect equipment involved in accidents to determine whether defective or poorly maintained equipment was a contributing factor in an accident. Medical experts and economists can then determine the financial impact of your injuries and what medical treatment is required for rehabilitation. 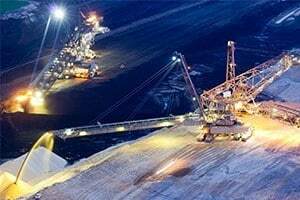 Contact a mining worker accident lawyer today to schedule a free consultation with an attorney at one of our offices or the location of your choosing if you have been involved in a mining accident and want to know more about your rights and legal options. Not only will we work tirelessly to represent your legal interests, but we will also help you gain access to the care and treatment that you need and deserve. Once we’ve investigated your case, we will let you know what to expect and how we would proceed should you wish to pursue a lawsuit. Should we fail to recover damages on your behalf, our time and services won’t cost you a thing.